Electricity bills in Nigeria have long been a topic of discussion among the populace. More often than not, Nigerians always express their displeasure to the bills, which according to them, hardly correlates with how much electricity they consume. Power holding firms in the country have had a lot to do with it, as many electricity users believe they find solace in estimating ridiculous bills. The social media has since been serving as a hub for lamentation. And in this case, it is not different. Many Nigerians have always taken to social media to express their displeasure over their ‘outrageous’ electricity bills. Unknowing to an average Nigerian, there are a lot of factors that influence the electricity bills. 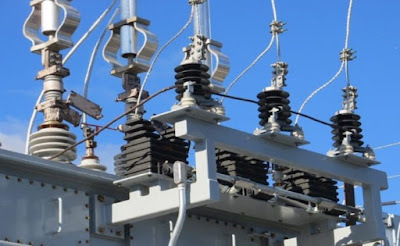 It is pertinent to understand that when you switch on any electrical appliance as an electricity consumer, it works only when there is a connected electrical power from a source to consume. A unit of this power is known as a WATT, 1000 watts makes up 1 KILOWATT and a 1000 kilowatts makes up 1 MEGAWATT. However, different electrical appliances consume varying amounts of watts of power depending on their use, or the power required to carry out their function. For example, the amount of power required to keep a small bulb on for one hour and that required to keep a heavy machinery working are definitely not the same. Therefore, knowing, or at least having an idea of how much your appliances use can help plan your electricity budget, and also save cost. On the other hand, usage matters as much as wattage when it comes to your electricity bill. For instance, although a pumping machine consumes up to three times a deep freezer does, the freezer is usually kept running much longer than a water pump. Therefore, your freezer ends up making up a larger part of your electricity costs. Every newly acquired electrical appliance comes with a consumption rating either on the bottom or side of the appliance. While some appliances will directly inform you of how many watts it consumes, others may just provide the voltage (volts) and the current (amperes). More so, one can determine the consumption of such appliance by multiplying voltage by the amperes. Ideally, the amount of money paid by an electricity consumer should depend on the number of appliances used in a building, for how long they are run and the customer class the building falls under. 17.76 kilowatts per day, N14,000 worth of electricity should last for a month assuming 24 hours supply. Similarly, an average non-maximum demand commercial customer would be classified as C2; for which electricity costs an average of N40.08 a kilowatt per hour. Such customer will receive 623.75 kilowatts of electricity if he or she pays N25,000. Assuming there is a constant power supply for this customer, N25,000 worth of electricity would be sufficient for a month if a maximum of 20.79 kilowatts is used daily.